Progress Party politician Carl I Hagen can’t simply resign from his elected duty as a substitute Member of Parliament (MP) in order to make his dream of becoming a member of the Norwegian Nobel Committee come true. Hagen tried to resign as an MP on Wednesday but Eivind Smith, a law professor at the University of Oslo, quickly claimed that any such resignation is unconstitutional. “That’s clear under the Constitution, and I really think Carl I Hagen knows that,” Smith, an expert in public procedure, told Norwegian Broadcasting (NRK) on Wednesday. There have been a few cases where the Parliament, through the office of its president, has granted long-term leave from elected parliamentary duties in order for MPs to assume important international positions. The latest example was when Labour Party leader and former Prime Minister Jens Stoltenberg was allowed leave to become secretary general of NATO. Even that, Smith claimed, goes against Norway’s Grunnloven (Constitution). “Stortinget (The Parliament) chose to do that on the grounds that Norwegians should be able to fill important international roles,” Smith told NRK. 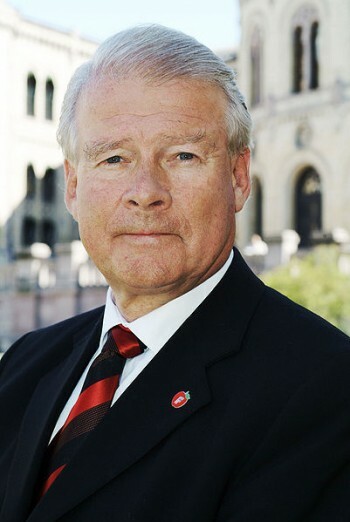 “I can’t imagine that Stortinget would agree that a seat on the Nobel Committee, which is important but not of the same character (as NATO chief), would form a basis for granting leave.” The five-member Norwegian Nobel Committee is meant to reflect the political make-up of Norway’s Parliament and is responsible for awarding the Nobel Peace Prize under terms of the will of the prize’s benefactor, the late Swedish industrialist Alfred Nobel. Legal experts at the Parliament are already looking into the issue, which arose Wednesday morning after newspaper Dagens Næringsliv (DN) reported that Hagen had sent a letter to his conservative Progress Party’s parliamentary delegation. In it, Hagen referred to the public debate that’s been raging after the party nominated their 73-year-old former leader to a seat on the Nobel Committee that he’s wanted for years. They’d passed him over for a Nobel seat six years ago, greatly offending him in the process, but now seem willing to defy a long-held parliamentary rule against MPs sitting on the committee, to fulfill Hagen’s dream. That’s set off a storm of protests and parliamentary debate, and prompted parliamentary leaders to ask the Progress Party to find another candidate for its seat on the committee. Hagen, who wrote that he was “deeply grateful” for his party’s nomination, thus proposed his own solution to the situation. He claims there’s “an enormous difference” between being a full-time MP and a substitute MP, but because he “doesn’t want to create any problems for the Progress Party’s parliamentary delegation or the Parliament, I ask that you report to Parliament that I resign immediately from my position as substitute MP.” He declined further comment, nor would he comment on whether it was constitutionally possible for him to resign as an MP. Olemic Thommessen, president of the parliament, said lawyers in the Parliament’s constitutional division will examine whether Hagen’s wishes can be granted. “There are some rules and formalities here, so I have to look into this myself,” said Thommessen, who leads the parliament’s elections committee and is a lawyer himself. Morten Wold, a member of the president’s office for the Progress Party, said he thinks granting Hagen leave from his MP duties would be the best solution “to this difficult situation that has arisen. And then we’ll find out whether this is a question of principles or whether it’s about Carl I Hagen himself for some of those taking part in the debate.” Hagen has long been considered one of Norway’s most controversial politicians, and many consider him unsuitable for a position on the committee that awards the Nobel Peace Prize.